We are putting these places in our itinerary! Leila Alcasid, the daughter of singer-actor Ogie Alcasid and beauty queen Michelle van Eimeren, just posted a video about her trip to Seoul, Korea. In her vlog—this is her first, as her previous videos were a montage—she takes us around the capital of South Korea where she got her hair treated, ate a lot, and shopped. She was traveling with her friends Jean Kim and Ella. 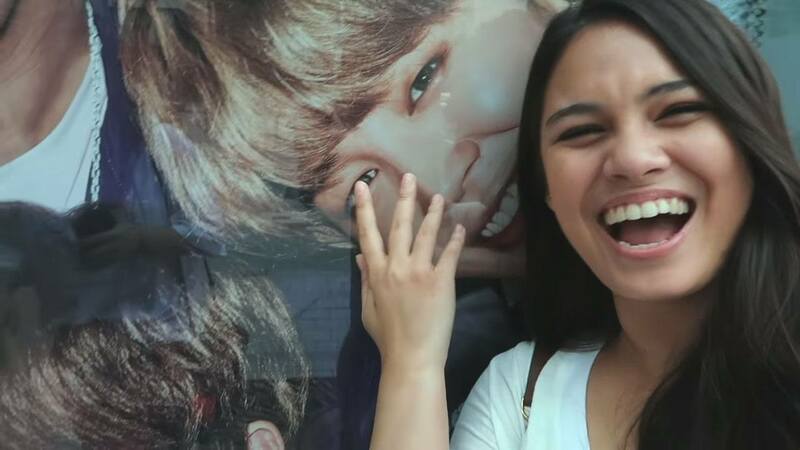 Throughout the video, she couldn’t help raving about her favorite K-pop artists. Then they went to Yoojung Sikdang restaurant, which is popularly known as one of the favorite restaurants of the K-pop band Bangtan Boys (BTS). Jean says that Yoojung Sikdang is where BTS would usually eat after their training. They then visited the record label SM Entertainment’s SUM Café, where records and band merchandise can be found. The café specializes in dessert and drinks. Leila and her friends also visited popular places like the restaurant Melting Shop and the hip neighborhood Yeonnam-dong.